Time has seen Microsoft improve the support of its Windows Phone, and now Nokia has produced a smartphone that can genuinely compete against the best smartphones from rivals Samsung, HTC and Apple. Overnight Nokia announced the Lumia 930 at the Microsoft Build conference in San Francisco, a Windows Phone 8.1 smartphone bristling with both features and the adored design language technophiles identify as uniquely Nokia. The 5in smartphone has an OLED, 1920x1080 resolution screen. This gives it a 441 pixel-per-inch density, which is good enough to lead the market alongside the HTC One (M8). Inside the Lumia 930 is just as impressive, with its quad-core 2.2GHz CPU, 2GB of RAM and 32GB of internal storage. The smartphone falls behind Samsung and HTC flagships by omitting support for microSD memory cards. Gracing the back of the Lumia 930 is Nokia's 20MP PureView camera that has f/2.4 aperture, a dual-LED flash, and the ability to record videos in Full HD (1080p) resolution. A secondary 2megapixel camera resides on the smartphone's front and will record videos in HD (720p resolution). Powering the smartphone is a 2420 milliamp-hour battery which Nokia claims is good for 15 hours of talk time over 3G networks. The battery can be wirelessly charge as the Lumia 930 supports the Qi-standard. 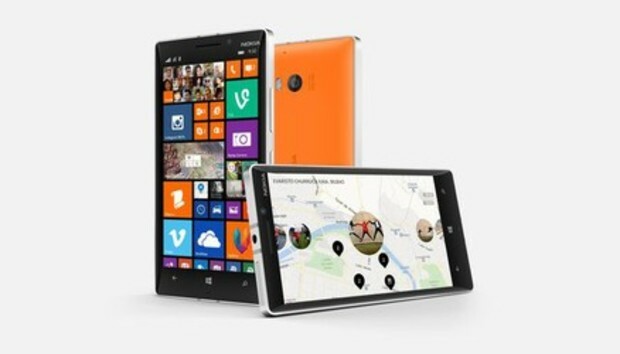 Nokia will begin globally rolling out the Lumia 930 ins June starting with European and Asian markets. Nokia Australia will release information on pricing and availability of the Lumia 930 closer to the date of its local launch.